Our Global Precious Monthly Metals Index (MMI), tracking a basket of precious metals from across the globe, rose yet another three points to 90 for the January reading, a 3.4% increase. We’re officially in a three-month rising trend for our precious metal sub-index. The last time we saw this buildup was back in Q3 2017, after which the index retreated. If that pattern holds, we could see a drop-off, perhaps as early as February — although seasonality and the global political and economic atmosphere in Q4 both likely had a lot to do with the outcome, which may not be replicated here in Q1 2018. 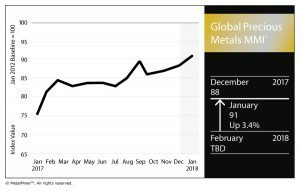 Meanwhile, it appears as though platinum will need to take advantage of a “Dry January.” The metal came out of the holidays very sluggish, recording only a $2 per ounce increase and beginning the new year in a rather flat state of malaise. 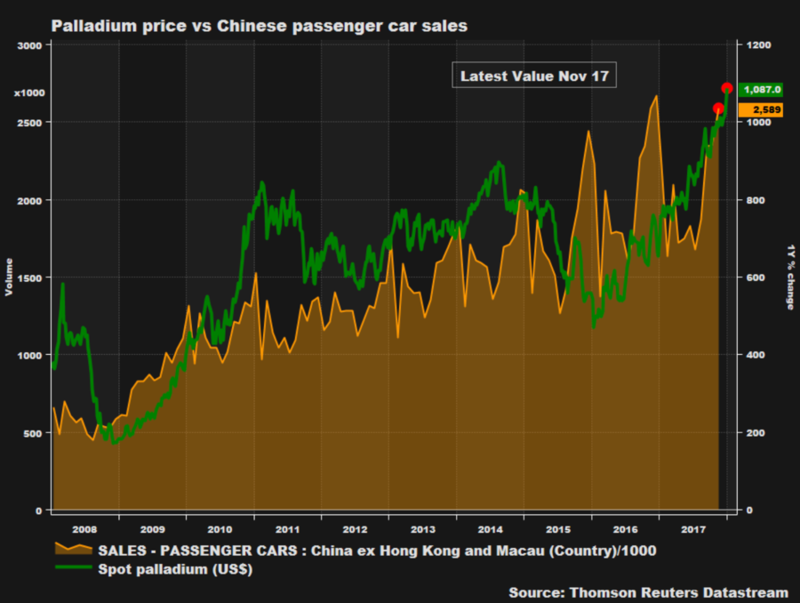 “We’ve (still) got a trend, folks!” — this is the fourth straight month in which palladium is priced at a premium to platinum, which has not been the historical norm. And then there’s gold. After breaking and holding above the $1,300 per ounce threshold at the beginning of September for the first time since October 2016, the U.S. gold price is back above that benchmark after a few months off. PGMs. While ETF Securities, an investment and intelligence firm, which we used to cover quite regularly, expects precious metals (including PGMs) to remain pretty stable for the course of 2018 in its Outlook 2018 report, as we noted last month, keep a close eye on All Things China. 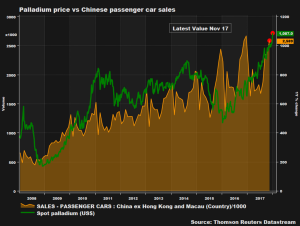 This is especially important as it pertains to automotive partnerships between U.S. OEMs and China and the resulting innovation, as my colleague Fouad Egbaria reported earlier this week in our Automotive Monthly Metals Index (MMI). 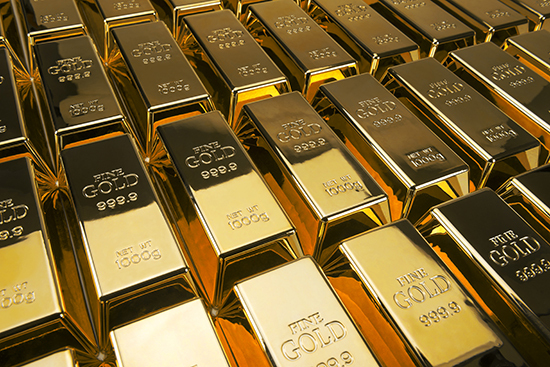 ICYMI, our own Irene Martinez Canorea drilled down into the gold markets before the end of 2017 from an analytical perspective, ultimately unlocking the reason why industrial metal buyers (especially those buying copper) should pay attention to gold.